Today the 134th Annual Supreme Convention of the Knights of Columbus came to the eve of the most significant and intense days of its mandate. 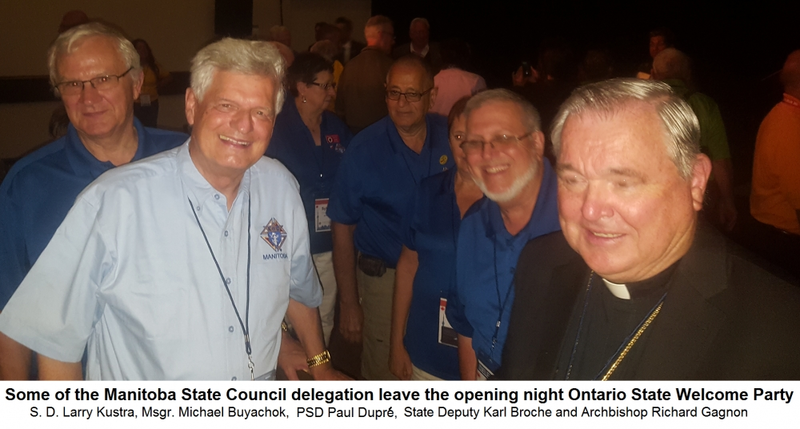 Some members of most of the delegations for the 76+ “State Councils” of the Knights of Columbus from around the world had already started arriving on Thursday July 28th at the Sheraton Centre Hotel in Toronto. They came for preliminary registrations, display set-ups, preparations and consultations. Most delegates would arrive by or on August 1st. 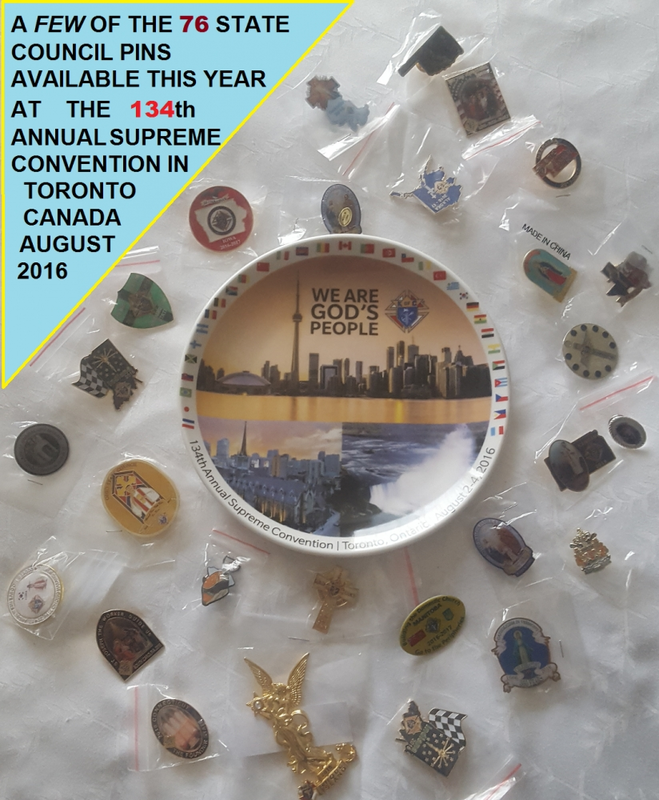 Monday saw a great deal of registration activity as the delegates and their spouses (and some brought the whole family for a holiday), the chaplains and other associated members registered at the hotel and at the Supreme Council secretariat. 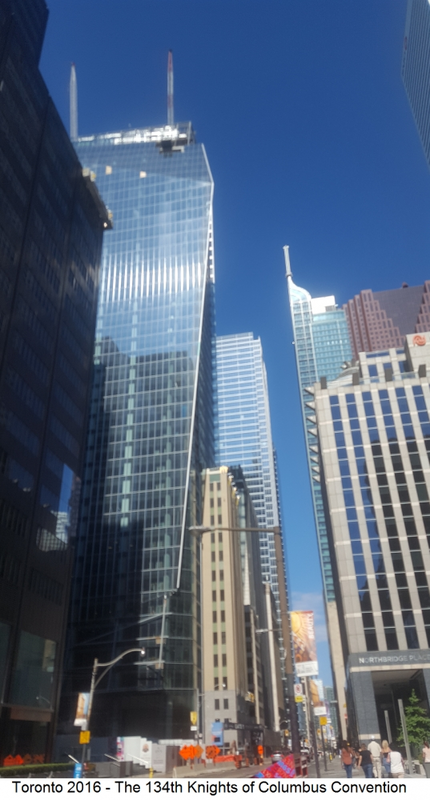 There was yet another resistration at the Ontario State Council secretariat (as the Ontario Knights are the hosts of the event). There were a few ice-breaker events and opportunities to get to know the many councils and meet countless brother knights and their families. Many State Councils offered “hospitality suites” where the delegates could wander around from suite to suite to meet with the State representatives and learn not only about the activities of each council, but also the very culture in which it functions. Many souvenirs, sometimes in the form of food and beverages, were shared by each state with the visiting delegates. In the late afternoon there was the annual souvenir pin exchange. Each year the State Deputy has a lapel pin designed to represent the state/province that he has been chosen to lead. Every pin is unique and says something about the particular state – including the spirit and perhaps theme of the council. The pins are truly imaginative and beautifully crafted. On the first day of the council after registration is completed, all delegates are invited to meet in some designated room, foyer or concourse of the hotel and exchange pins. This goes on until, if possible, the participants have obtained one of each of this year's possible 76 pins. It is a great opportunity to meet and chat with the other delegates and learn something about each other. 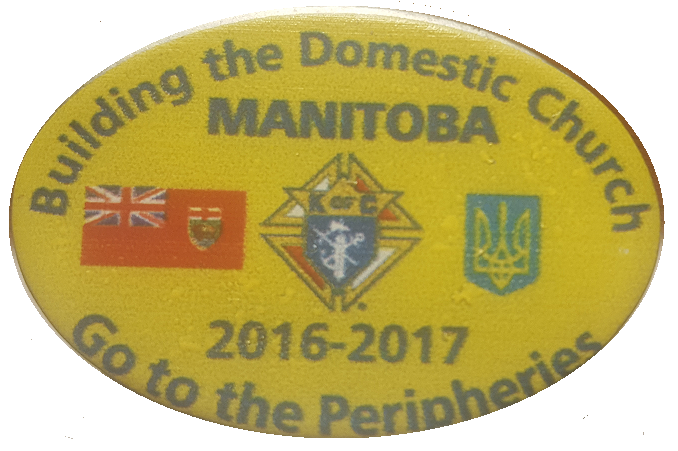 The 2016 pin of the Manitoba State Council was popular and it seemed that by the end of the icebreaker everyone had one. Finally, in the evening, the host council – in this case the Ontario State Council – invited all delegates to an opening “party” of entertainment, song and refreshments. This year, Ontario offered a show that simply thrilled the convention. The event hall often burst into clapping, toe-tapping and standing ovations as outstanding performances were given by jazz performer Carmen Spada, contemporary violinist Grenville Pinto and musical production tenor Colm Wilkinson. There was a lot of comedic moments as well throughout the evening. Everyone left the performance hall very pleased with the evening. It all begins officially with the Opening Mass (Divine Liturgy) in the Grand Ballroom on Tuesday morning followed by the opening business session and the Supreme Knight’s Report to be delivered by S.K. Carl Anderson. Copyright © 2019 Ukrainian Catholic Archeparchy of Winnipeg All rights reserved.